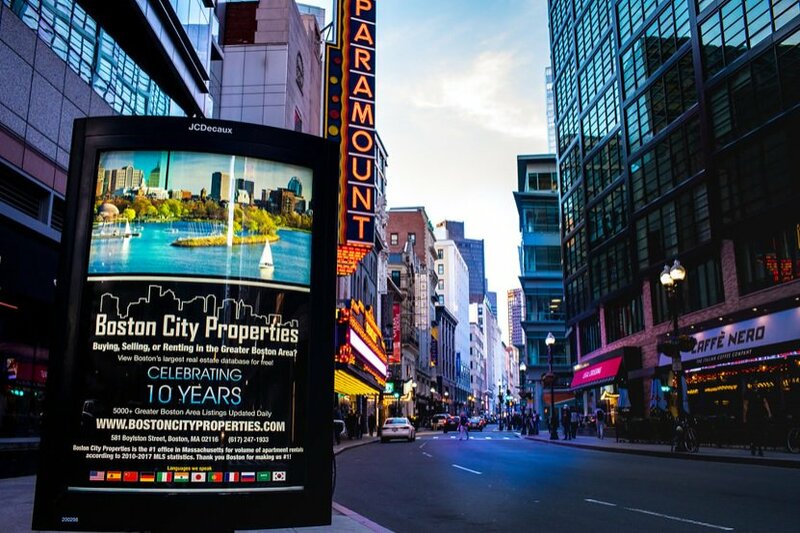 Boston City Properties is one of the leading real estate brokerages in the Greater Boston area. We have 1000's of sale & rental listings in every neighborhood in the Boston area. Our website provides free access to the largest real estate database in the Boston area, where literally all of the largest real estate agencies in the city post listings to. The listings are updated daily and include addresses, photos, virtual tours, and more. We have over 50 real estate agents servicing every neighborhood in the Greater Boston area. We can match you with an expert to help you locate the best property possible. Use the submit listing button to add your property for sale or rent. Our expert seller's agents can help sell your property as soon as possible. Boston City Properties is also the #1 office in Massachusetts in volume of apartment rentals according to 2010-2018 MLS statistics. We have listings in every luxury apartment building in the Downtown Boston area, as well as 1000's of private houses, brownstones, condos, and lofts. We also have 100's of listings for commercial real estate including retail space, office space, and more. We have investment specialists on call to help investors purchase an investment properties such as multi-family properties. We also have 1031 exchange experts on call to assist you. Our headquarters is located in the heart of Copley Square in Downtown Boston. We are open 7 days a week from 8am - 8pm. E-mail or call us at 617-247-1933 to talk to an agent. Sign up on our website to view up-to-the-minute listings. We welcome you to Boston and look forward to meeting you soon! Our commercial real estate agents are on the front lines of the Boston real estate market. We have 100's of listings for office space, retail space, restaurant space, industrial real estate, and commercial investment properties. Contact us about our tenant representation services, as well as listing your property. Boston City Properties gives back to the community! Read about BCP's efforts at home in Boston and around the world.